EFCC raids Ikoyi flats of Mu’azu, others over thirteen billion naira cash – Royal Times of Nigeria. As part of investigations into the thirteen billion Naira found at a flat in Osborne Towers, Ikoyi, Lagos state, the Economic and Financial Crimes Commission (EFCC) has searched apartments of the immediate past Governor of Anambra State, Peter Obi; and a former Chairman of the Peoples Democratic Party, Adamu Mu’azu. Other prominent persons, living in the building, include a former Managing Director of the Nigerian National Petroleum Corporation, Mrs Esther Nnamdi-Ogbue, and C.E.O of Ebony Life Television, Mo’ Abudu. The media aide to Mr Obi, Mr Valentine Obienyem, confirmed in a statement on Tuesday, that all the apartments in the building were searched by the commission. 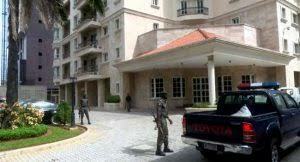 He, however maintained that the apartment was a rented one as Obi’s home is in Onitsha, Anambra State. Obienyem warned mischief makers against seeking fault in Obi, adding that nothing incriminating was found in the apartment. 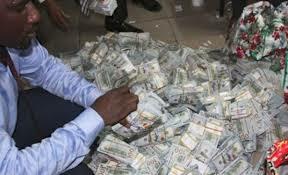 The anti-graft agency, had on Wednesday last week, busted the apartment, where it recovered huge sums of money in Dollars, Pounds and in Naira. Detectives were, however, of the opinion that there might be more money concealed in other flats including three unoccupied apartments.